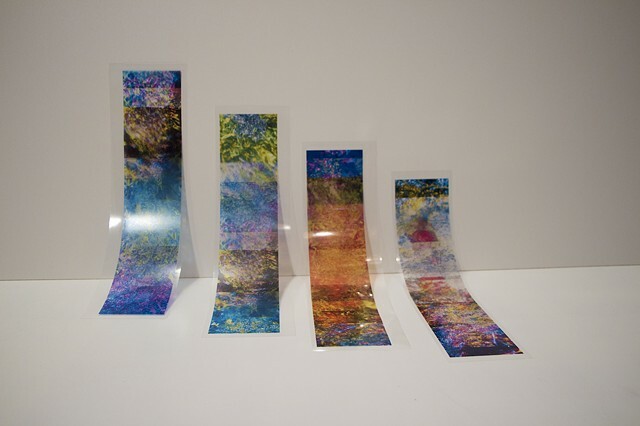 Giclee prints on transparent film, light. Each print 12" x 105". Installation approximately 12' x 12'.